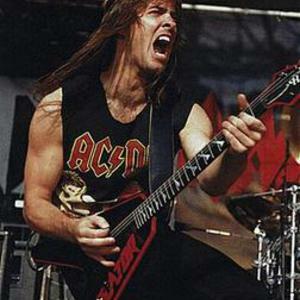 Annihilator is a thrash metal band founded by Jeff Waters in Ottawa, Canada in 1984. Along with singer John Bates, the original line-up was complete when drummer Paul Malek and bassist Dave Scott (Richer) joined the band. Bates and Scott decided to leave the following year citing artistic differences and personality conflicts. Waters relocated to Vancouver where he assembled a whole new line-up, including former D.O.A. member Randy Rampage. Waters has continued to shuffle the line-up, including singers, throughout the band's history. Along with singer John Bates, the original line-up was complete when drummer Paul Malek and bassist Dave Scott (Richer) joined the band. Bates and Scott decided to leave the following year citing artistic differences and personality conflicts. Waters relocated to Vancouver where he assembled a whole new line-up, including former D.O.A. member Randy Rampage. Waters has continued to shuffle the line-up, including singers, throughout the band's history.